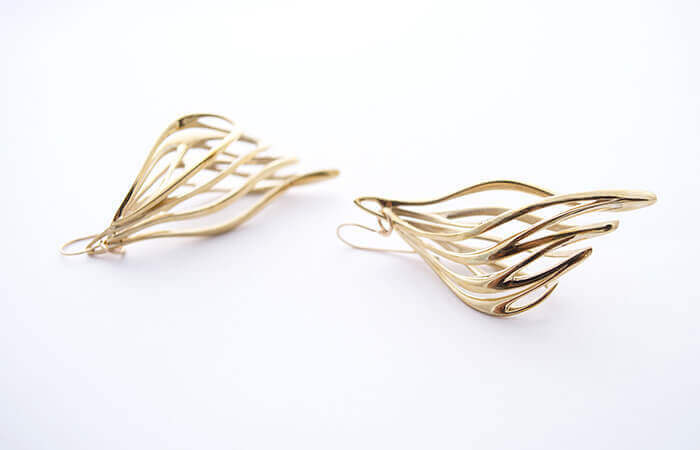 The jewelry of AISATO Design features captivating, elegant, 3D curvy form. Inspired by computational design and the contours of the natural world, designer Ai Sato brings a unique perspective to jewelry design: that of an architect. Sato studied architecture at the Southern California Institute of Architecture, where her free-flowing design language stood apart from the more orthodox designs of her peers. There, she began researching the textures and behavioral patterns of living things and how to incorporate them into buildings, landscapes, and cityscapes in an effort to “create architecture from a new perspective freed from stereotypes,” she says. 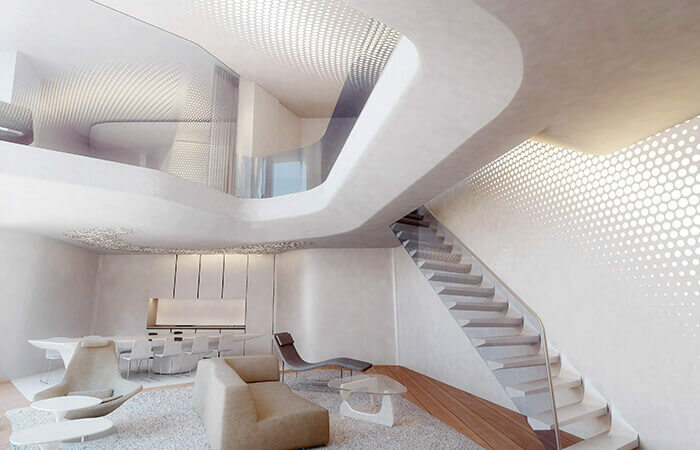 A proposal by Zaha Hadid Architects for the Opus Office and Hotel Complex Building. Ai Sato was a member of the interior-design team for this project. Courtesy Zaha Hadid Architects. A design proposal by Zaha Hadid Architects for the BBK Headquarters Building in Bilbao, Spain. Courtesy Zaha Hadid Architects. A design proposal by Zaha Hadid Architects for the New National Stadium in Japan. Courtesy Zaha Hadid Architects. Ai Sato during her tenure at Zaha Hadid Architects in London. Courtesy AISATO Design. 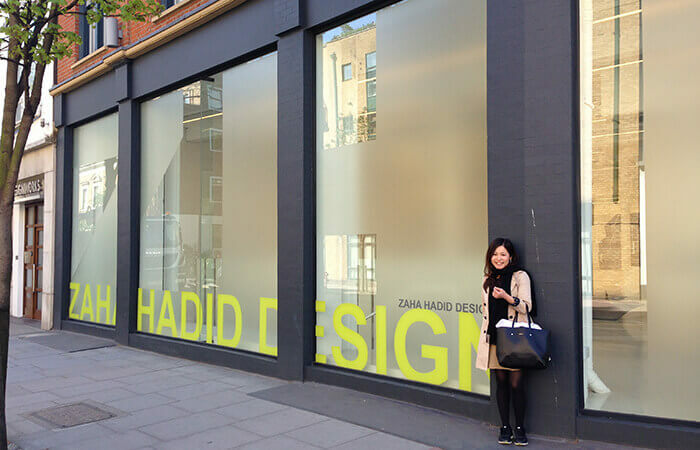 Sato had always admired Hadid’s own work, and her talents flourished while working in the firm. She produced proposals for architectural competitions, refined project design sketches, and created digital models of design proposals using tools such as Autodesk Maya. Yet as much as her talents were growing, the projects she was involved in weren’t coming to fruition, thanks to events such as the financial crisis of 2008. 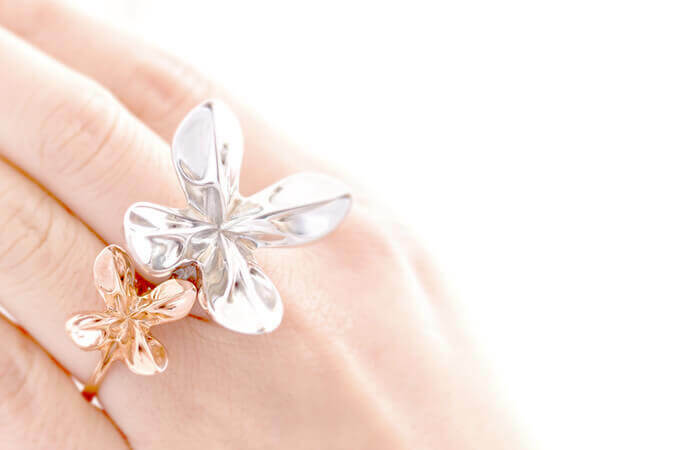 The Helix Ring (silver) and Helix Ring Mini (pink gold) were the first designs Ai Sato developed into products. Courtesy AISATO Design. 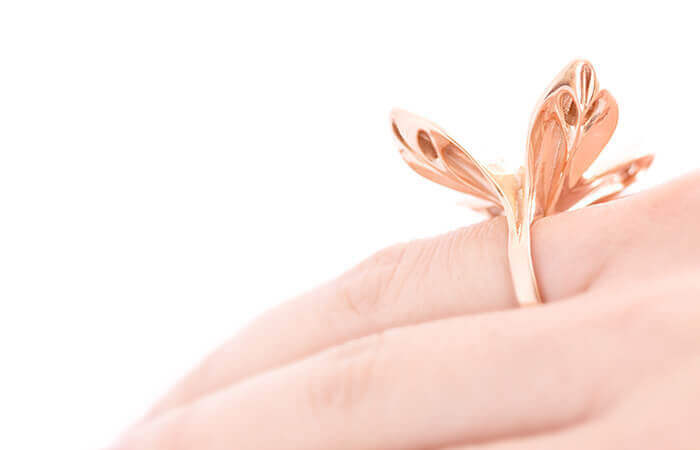 The Helix Ring, with its 3D design, reveals its elegant contours when viewed from different angles. Courtesy AISATO Design. Explore the software that brings Ai Sato’s organic designs to life. 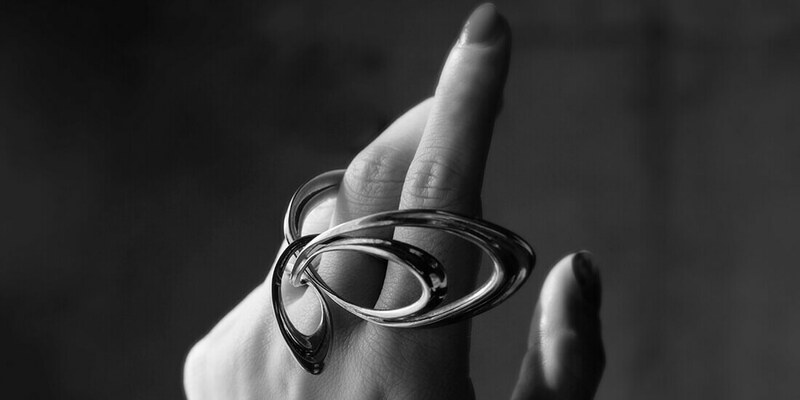 The first ring she designed for herself, the Helix Ring, Sato developed from hundreds of prototypes produced after hours while working at Zaha Hadid Architects. 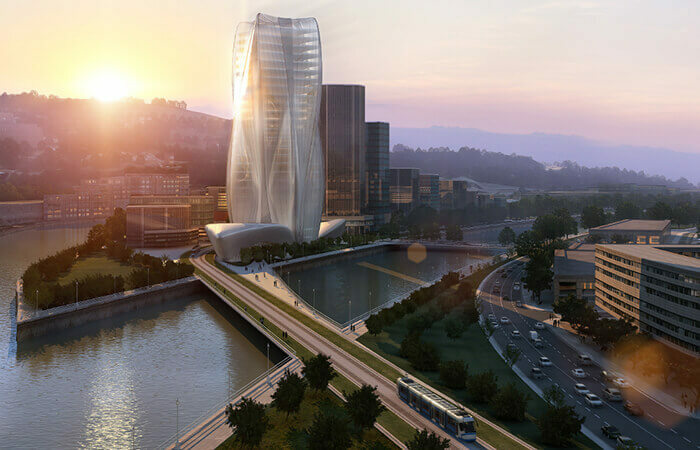 The influence of this work is visible in her designs for the proposal of BBK Bank Headquarters in Bilbao, Spain. As her jewelry-design side hobby grew, Sato began displaying her work at shows in London and Paris while continuing her architectural-design work. 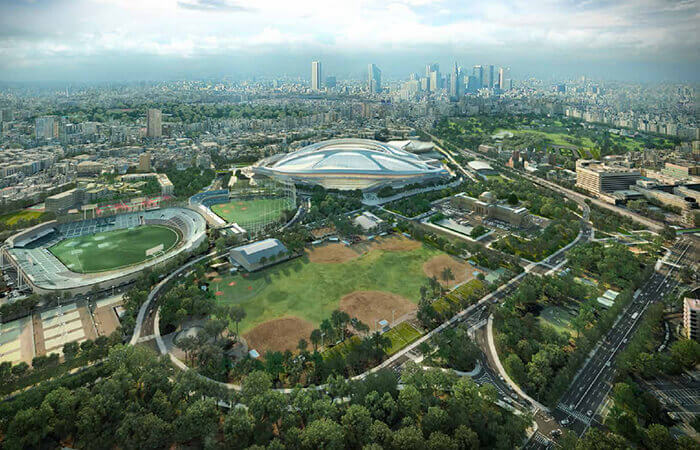 In November 2012, when Zaha Hadid Architects’ design for Japan’s New National Stadium won an international competition, Sato returned to her homeland to work with the project’s local team. 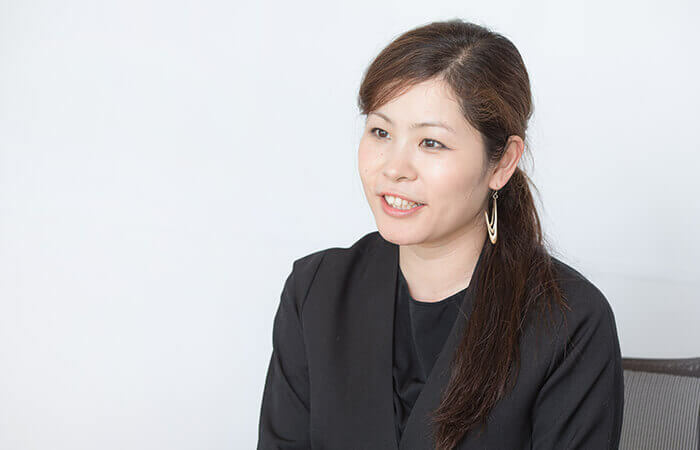 She was due to work at the firm’s Tokyo office for several years, but when the government withdrew support for the project, Sato had finally had enough architectural disappointments: She decided to part ways with the firm and make something on her own. Malina Earrings. Courtesy AISATO Design. Some of her jewelry designs are inspired by Voronoi diagrams, where planes are divided into shapes based on the distances between a set of points on that plane. The organic shapes created by such processes are familiar yet distinct. She incorporates the laws of Voronoi diagrams into a script that generates patterns resembling those found on a giraffe or dragonfly wings. She can then manipulate those results to create astonishing designs. Jewelry designer Ai Sato. Courtesy AISATO Design. AISATO Design products can be made-to-order for purchase online and are also sold at pop-up stores. Courtesy AISATO Design. 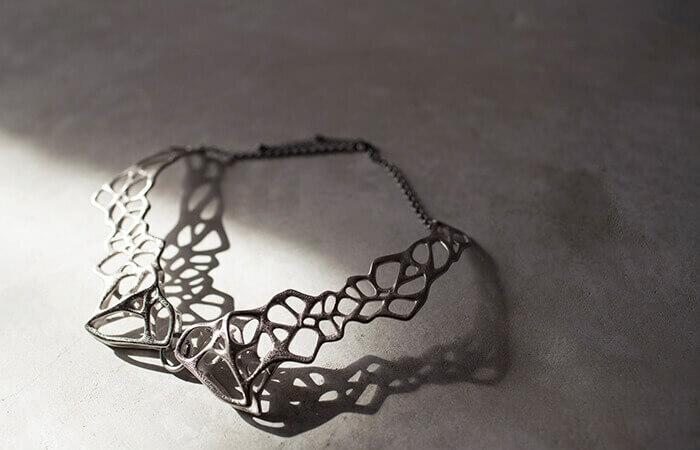 The Voronoi Collar Necklace, inspired by Voronoi diagrams. Courtesy AISATO Design. 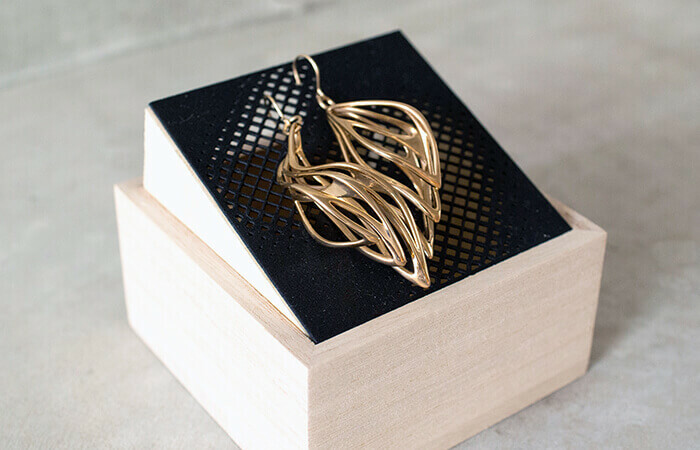 Sato is fascinated that she can use computers to design something that would be impossible to craft by hand, and she uses a 3D printer to output the intricate jewelry and accessories she designs. 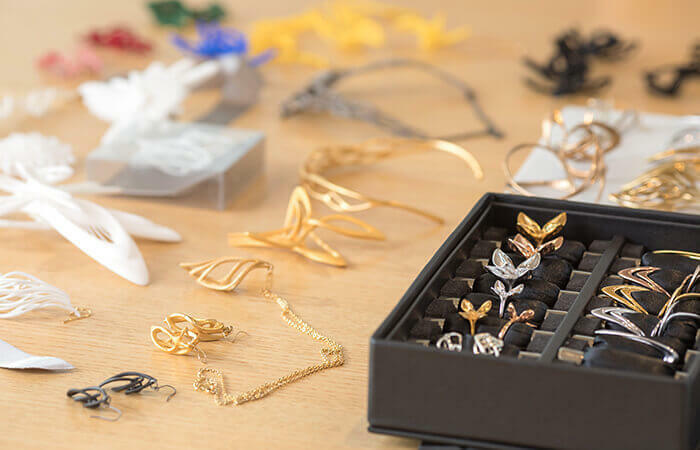 A base model made of wax resin generated through stereolithography can be cast to metal, or she can print nylon-resin items that are ready to wear. The complex shapes and surprising lightness of the 3D-printed products add to their appeal.